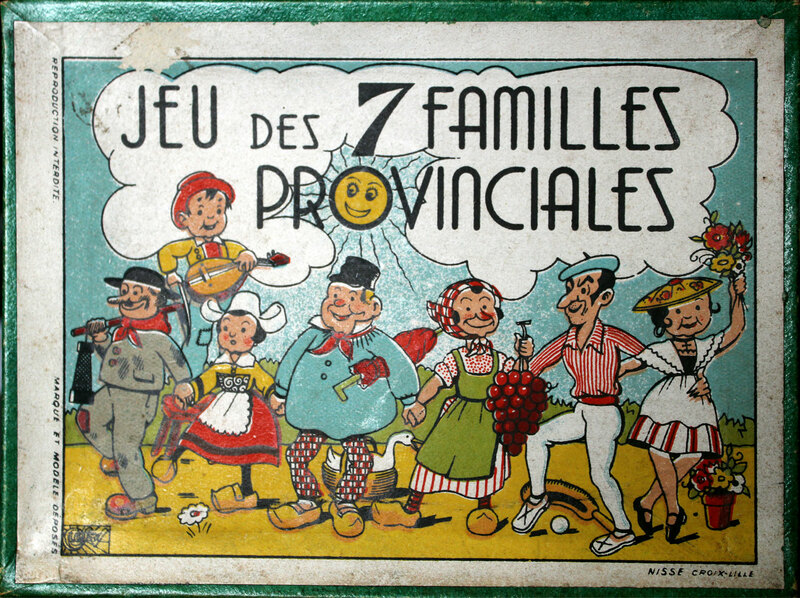 These cheerful ‘Happy Families’ cards were produced by Imprimerie Nisse, a general printer and publisher of children's books, games and puzzles from Croix-Lille (France) active since the 1920s until c.1950s (actual dates unknown). They were not expensive and are printed on low grade cardboard. 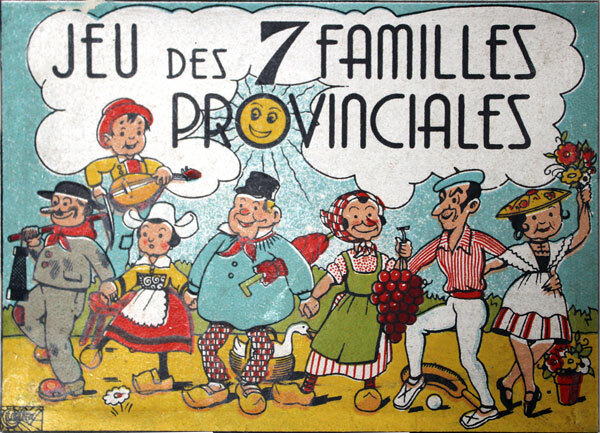 The seven sets of six family members each supposedly depict people from different regions in France, characterised by typical costumes and activities. 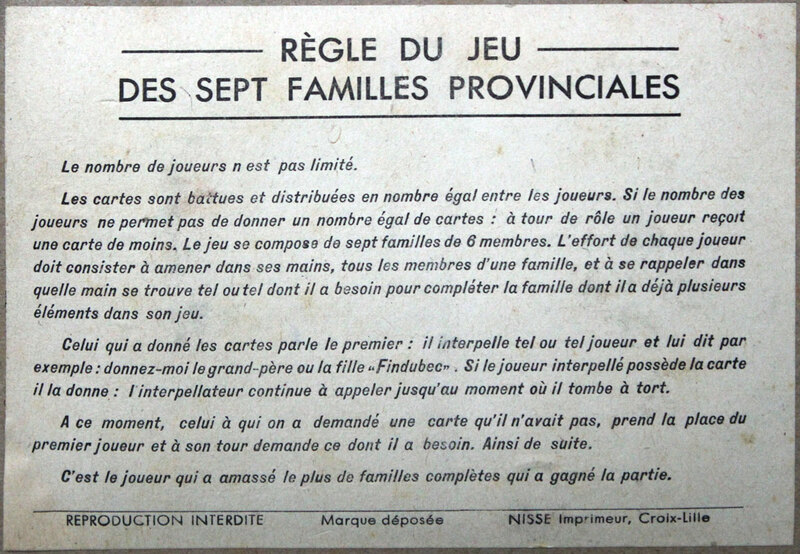 Above: Jeu des 7 Familles Provinciales printed by Imprimerie Nisse, Croix-Lille, c.1930s. 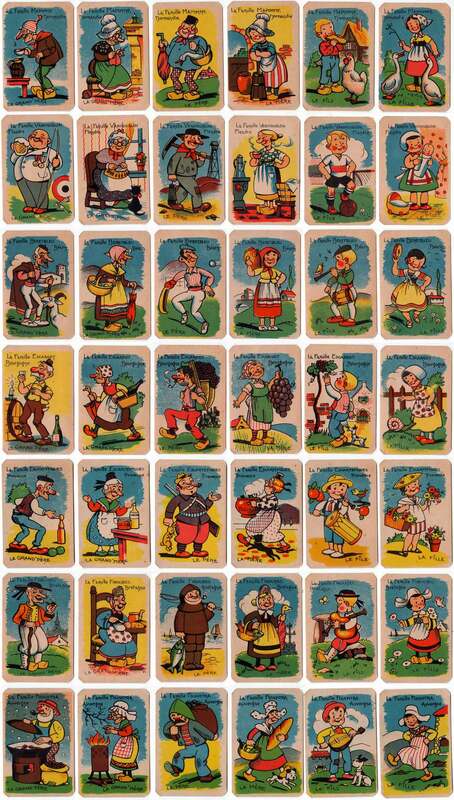 42 cards in box. Images courtesy Rex Pitts.